Looking for privacy? Nature lover? 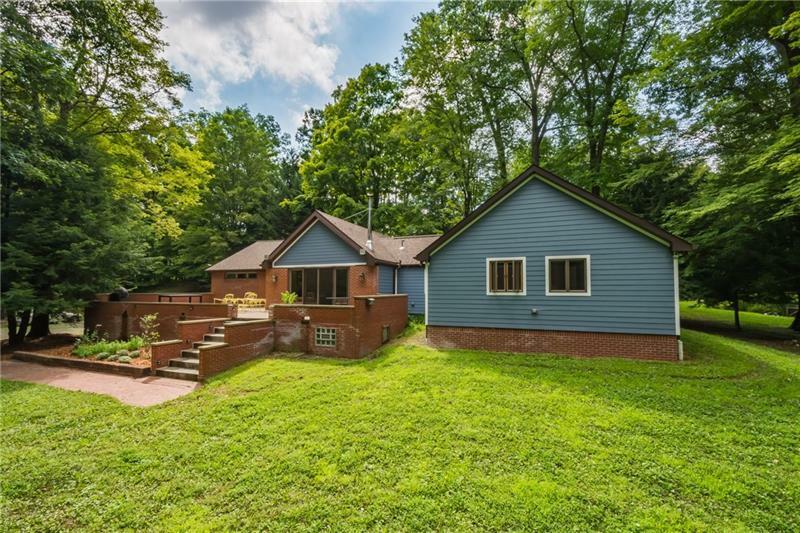 This sprawling ranch is nestled on 8 wooded acres. Recently renovated and enlarged, this 4 bedroom, 2 bath, home has hardwood, marble or cork floors throughout. The living room has a beamed, cathedral ceiling, wood stove and a wall of windows overlooking an expansive, walled patio. You'll love the well-equipped, cook's kitchen with island, quartz counters, breakfast area and opening to a huge dining room. There's a 10x22 walk-in closet or 2nd den above the master bedroom. Lots of parking with the oversized 3 car garage with workshop behind. There's also a large shed as well as a new outbuilding which could be an office, man cave or she shed.